You are here:Home » Product Reviews » EHA Gentle Exfoliating Gel Giveaway: 5 Bottles to Win! 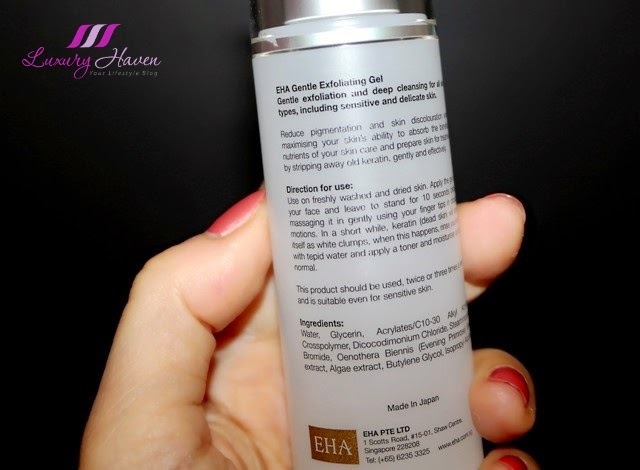 Unlike traditional scrubs, the EHA Gentle Exfoliating Gel is so gentle it can be used even on sensitive skin, but still packs a punch, removing old keratin and keeping skin fresh and clean. It reduces pigmentation and skin discoloration while maximizing your skinʼs ability to absorb the beneficial nutrients of your skin care and prepare skin for treatment by stripping away old keratin, gently and effectively. You will love the cooling gel that turns into sandy residues as you massage it onto your skin. These tiny clumps are actually keratin which is your dead skin. When this happens, simply rinse your face with tepid water and apply a toner and moisturizer as per your beauty regimen. The Exfoliating Gel is so gentle that you can use it twice or three times a week, even on sensitive skin! 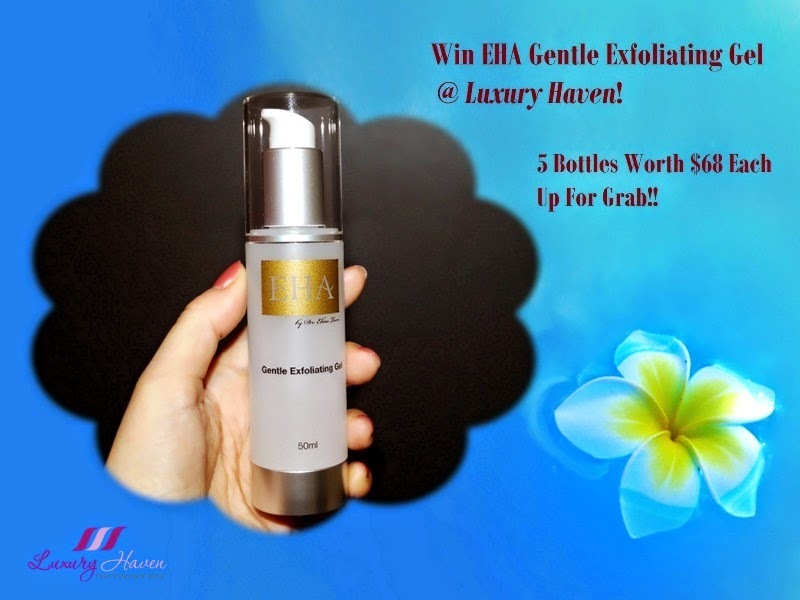 Thanks to EHA Skincare, we have 5 bottles worth SGD 68 ( 50 ml ) each to give away! Submit your entries at the Rafflecopter widget below; the more steps you complete, the more chances you will get! * If the widget is not loading, you can also submit your entries via the Facebook page. Giveaway is from 23 - 31 May 2015. Giveaway is only Open to Participants Residing in Singapore. Winners will have to collect their prizes at EHA Skincare. 5 winners will be randomly selected via the Rafflecopter widget. Looks like a terrific product, Shirley! Have a wonderful weekend!!! This sound like good product. I love to exfoliate my face as keep me smoother and cleaner. Hope to win to make me a baby like lady with silky soft skin! Looks like a really nice gel :O I never heard about the brand but I am curious! This giveaway sounds amazing! I love the sound of the exfoliating gel! I like the exfoliating gel with evening primrose is something new to me. Have heard of this product and its goodness. Best of luck to the winners. Such a great giveaway, Shirley. So good luck to everyone. sounds like a lovely giveaway. Great giveaway, Shirley. Good luck, everyone!